Pressure is building in the global economy. Who will blink? Simply sign up now and receive our free daily investment newsletter, Currency Currents, and access to our Library where you can read this Special Report and others ... absolutely FREE! The credit crunch was a signal by the market that enough is enough. The imbalances driven by the massive liquidity created by recycling of surpluses back into capital markets for the creation of new dollar-based credit instruments hit a saturation point. 1. 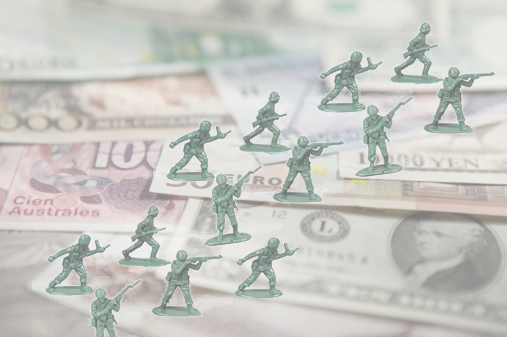 The market’s continued attempts at global rebalancing in a world where global demand is scant is the cause of the so-called “currency wars” as coined by the media. 2. Emerging market currencies are undervalued fundamentally, but all the money flowing to EMs is leading a potential bubble because EM exports still need to be bought by the developed world. 3. Pressure on China to act is growing by the day. If they don’t, it may get ugly. We may be on the verge of revisiting the same currency-based imbalances that threw the global finacial system into disarray back in 2008. Simply register now to read this Special Report ... absolutely FREE! Sign up with your email address to gain access to ALL our Special Reports and to be added to our free newsletter, Currency Currents.